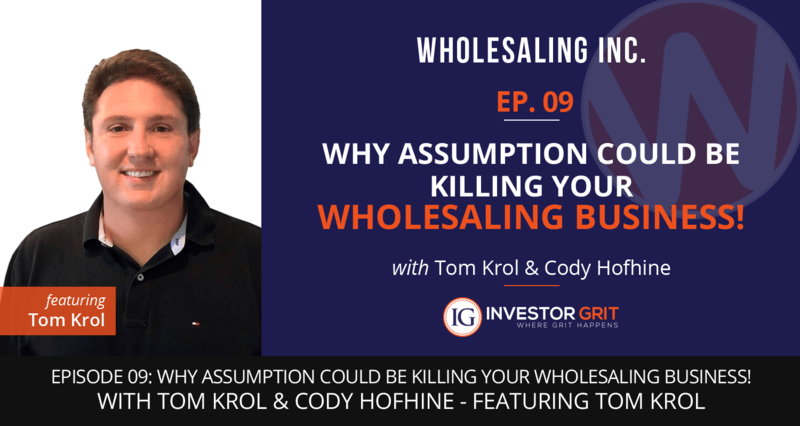 Episode 09: Why Assumption Could Be Killing Your Wholesaling Business! Episode 08: How to Make $73,000…in 3 Hours! 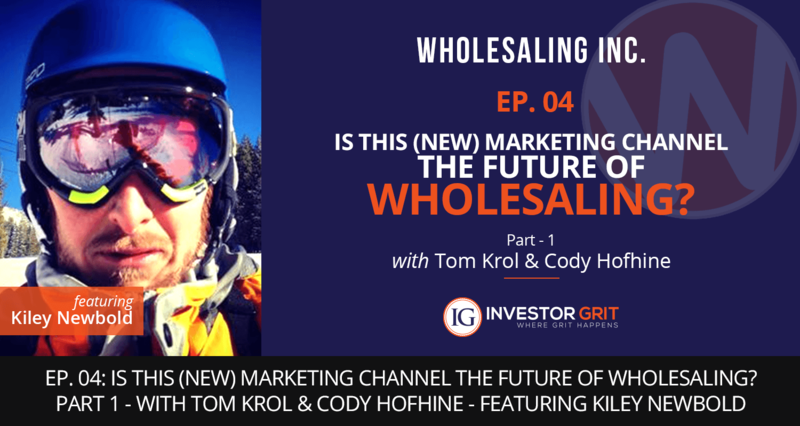 It takes determination, focus, and lot’s of “grit” to succeed in the Wholesaling business. 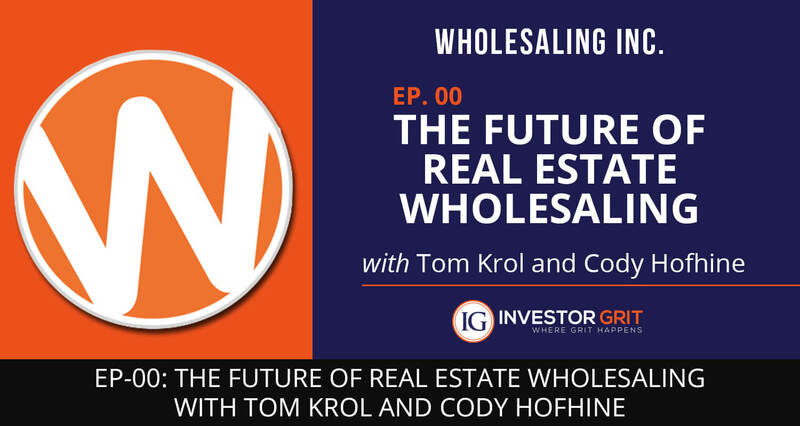 When it comes to wholesaling Real Estate, consistent effort is not only a requirement…it’s the “secret sauce” for finding success and making lots of money in the business. 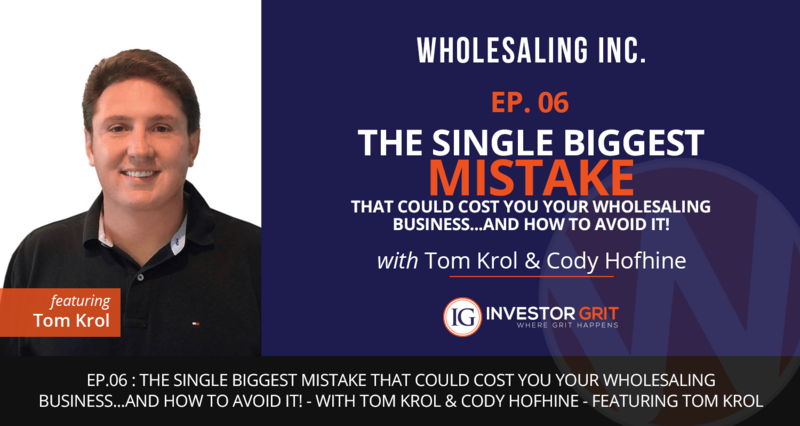 Episode 06: The single biggest mistake that could cost you your wholesaling business…and how to avoid it! 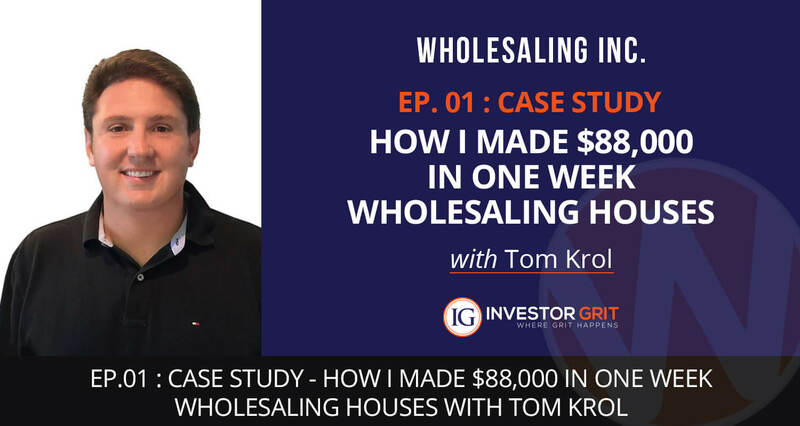 Tom Krol reveals one of the BIGGEST Wholesaling mistakes many wholesalers make in their business and shows you how to avoid it. This “mistake” is psychological in nature and if you don’t change it now, it will most certainly effect your business. If you’re not growing, you’re dying. 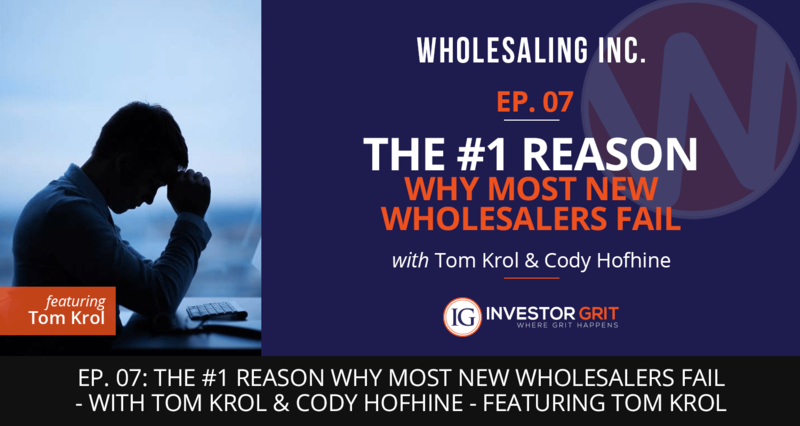 As Wholesalers, we’re always looking for more deals. If we don’t have deals, we don’t have a business! If you are like most other Wholesalers, you are probably utilizing many different marketing channels. 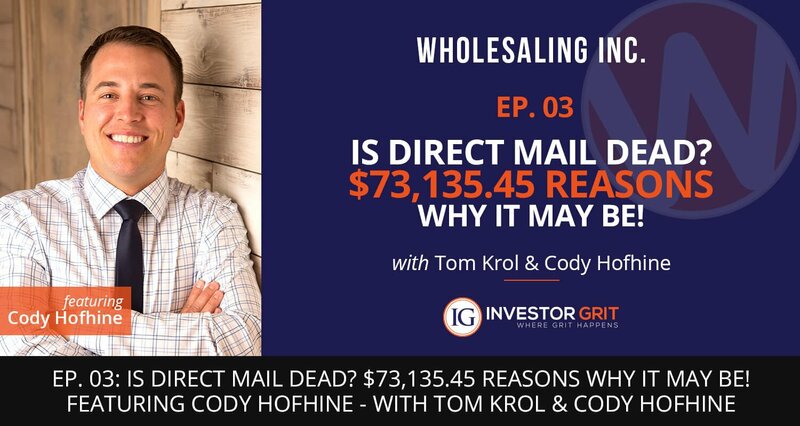 Episode 03: Is Direct Mail Dead? $73,135.45 Reasons Why it May Be! Episode 02: How to Turn a $5k Deal into $25,000! Would you like to make MORE money on your deals? How’s about 5X as much (or more) per deal?? 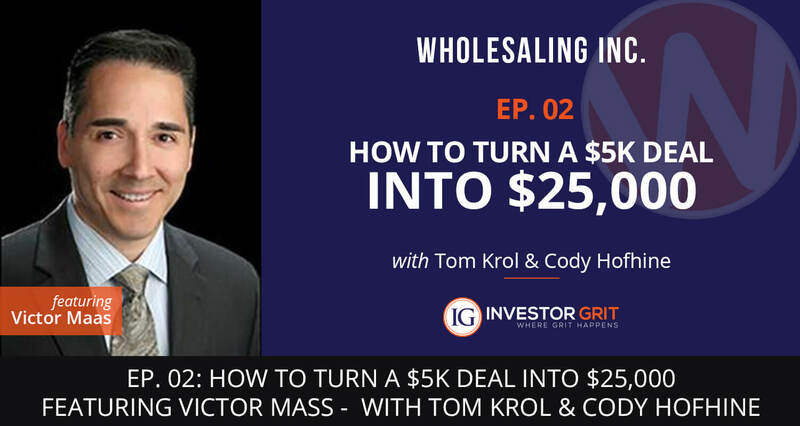 In today’s episode, we speak with Texas Real Estate Attorney, Victor Maas about how he regularly turns $5,000 deals into as much as $25,000…or more!! 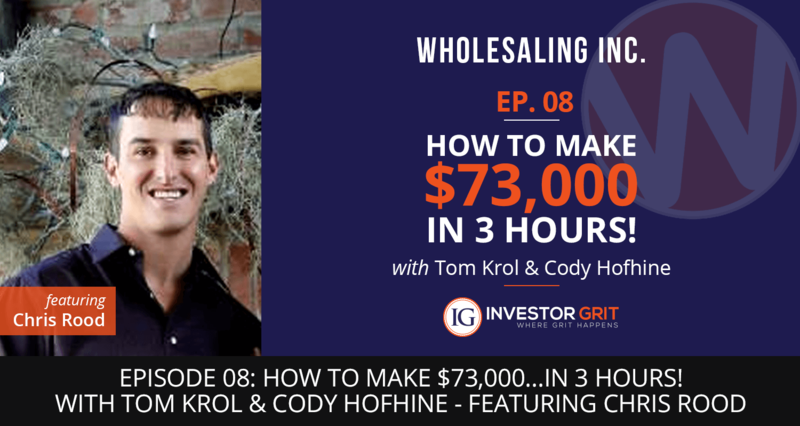 In this episode, Cody Hofhine puts Tom Krol in the hot seat to dissect the EXACT STEPS he took to generate almost $90k in ONE WEEK, Wholesaling houses! Best part? Tom never even saw one of the houses!